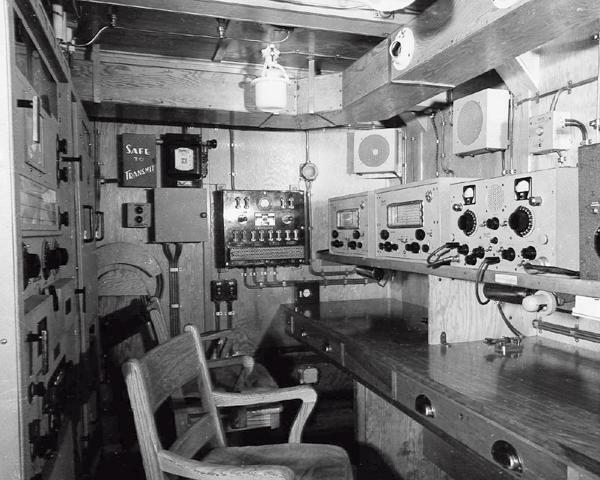 Radio room of HMCS PRINCE RUPERT (K324), a River Class frigate. This was taken on October 22nd, 1943, the day after she arrived in Halifax from her builders Yarrows Ltd., Esquimalt B.C. 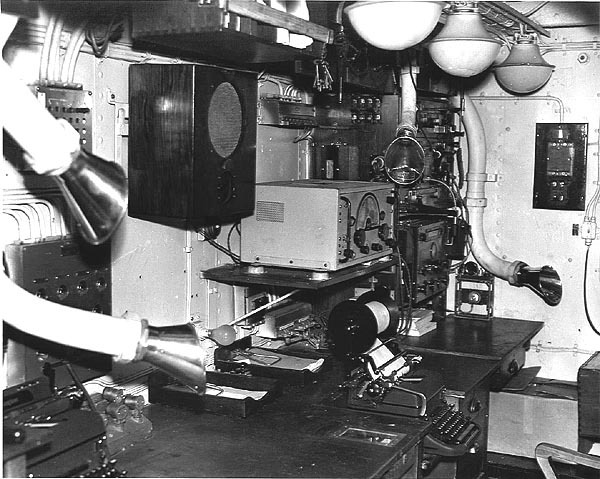 A portion of the radio office in HMCS SKEENA. 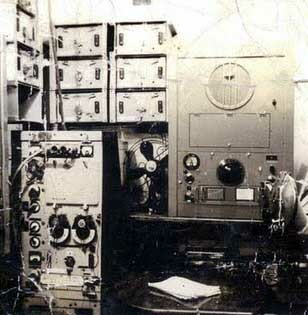 At the left is is the British Admiralty 4TA transmitter with the coil drawers above and behind. 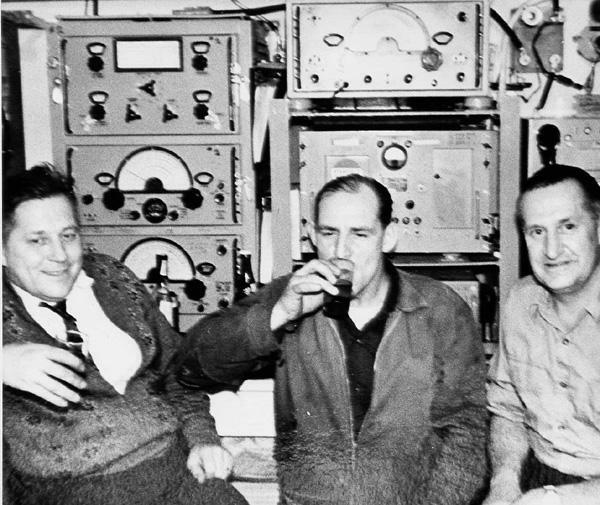 At the right is the National HRO-SPC receiver. (From the collection of Allan Riley). 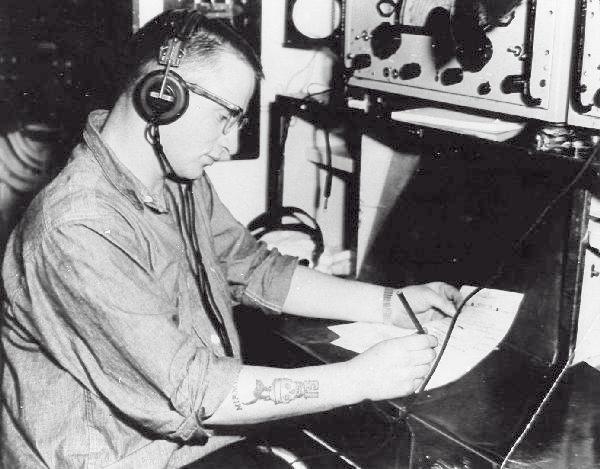 Many years ago, at one of my radio displays, I remember I had an old timer state that when Skeena was transferred from Esquimalt to the East coast in 1937, "we stopped in San Francisco and bought an HRO" (his words). 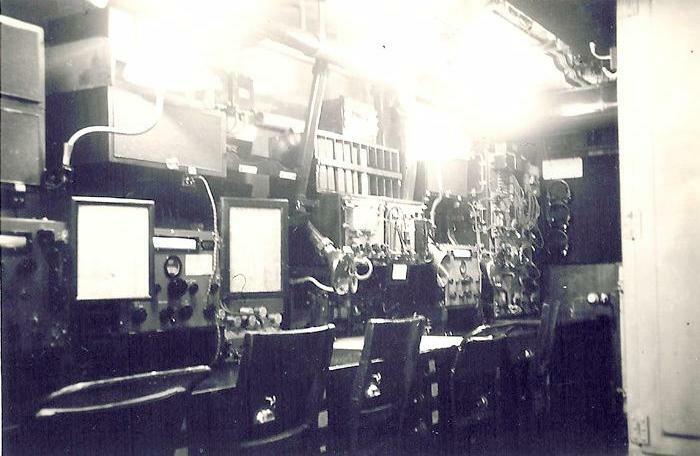 The receiver itself in the photo must have been made in the late 1930s since that is when the National ID tag was moved to the upper right-hand corner of the panel. The radio receiver itself is obviously what we now refer to as the HRO Senior model. National literature from this period simply calls it the HRO and refers to a simpler version that was available as the HRO Junior (the most obvious difference in the Junior is the deletion of the 'S' meter and crystal filter). The receiver used in the RAS/RBJ/RAW is similar to the Junior. HRO-SPC was first advertised in December 1936. The "SPC" refers to a power supply, coil compartment (with room for 5 coils) and an 8" loudspeaker, all in one unit. The RAS/RBJ/RAW receivers are very different in that they had each of these 3 components on separate panels and the coil compartment has room for 8 units. 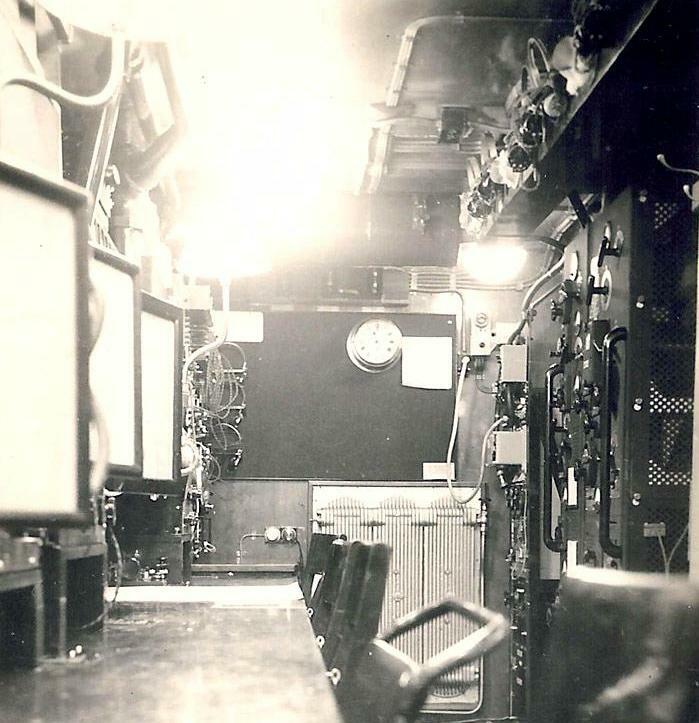 The HRO's designed for relay rack mounting had a 3/16 inch aluminum panel that was available in black or gray. 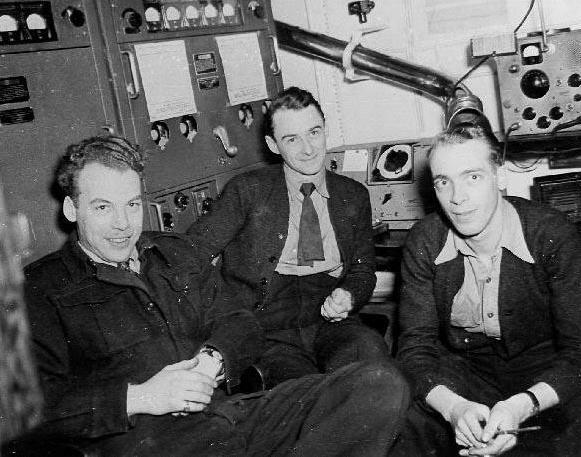 To quote from the catalogue section at the back of my 1939 HRO manual: "HRO SPC consists of a panel mounted HRO receiver, an SPC unit and an MRR relay rack". 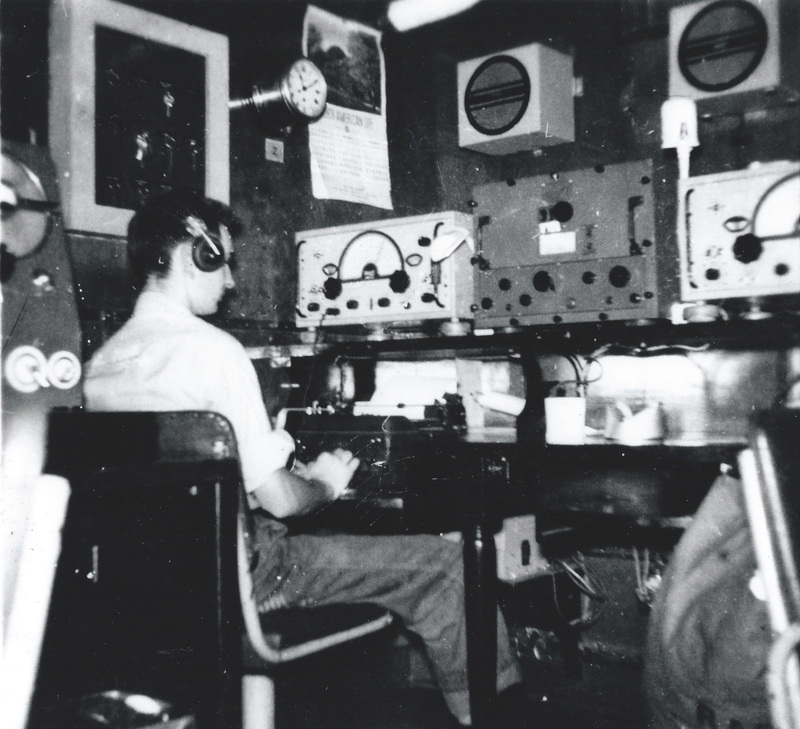 Coils for the 50 - 400 KHz and 500 - 2050 KHz bands vary in price but, at the very least, the receiver in the Skeena photo would have cost $512.50 if it only came with the standard 4 coil HRO complement covering 2.7 - 30 MHz". 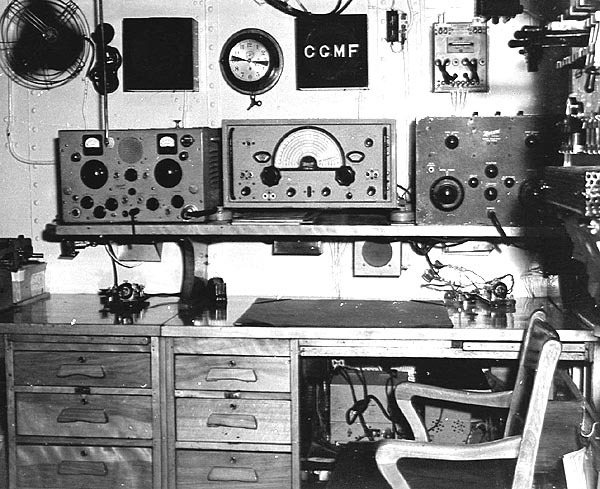 Taken in 1950, the equipment in this radio room aboard an RCMP vessel was representative of that used in WWII. 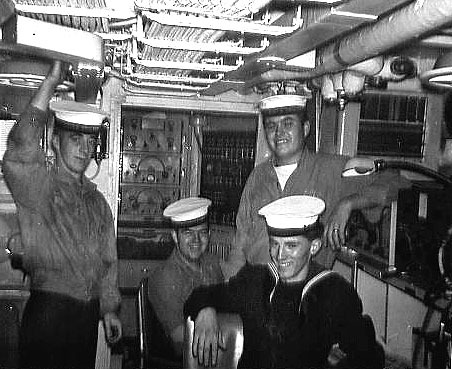 Some of the diesel powered, Bangor class minesweepers became RCMP patrol boats after WWII and retained their naval radios.